The US Department of Justice is widening its probe of the forex market. Until now their investigation has been limited to rigging of rates, but now the Financial Times reports that the judicial authority will be examining currency-linked investments sold by Barclays and UBS. The DoJ will reportedly be examining whether the two banks neglected to disclose profit from the selling of structured products (specifically profit from the currency trades that generate the products’ returns). These were sold to several Swiss hedge funds and other sophisticated investors. The structured products under scrutiny are both based on carry trades. A carry trade is when an investor borrows from a low-yielding currency and invests in a higher-yielding one, earning the spread. Given the nature of the products as sophisticated securities, some are reportedly arguing that failure to fully disclose should not be penalized. But the DoJ is pressing on, interested in UBS’ V10 enhanced FX carry strategy and a similar strategy from Barclays. These both allow investors to switch out their positions if currency markets became volatile. The question for the DoJ is whether UBS and Barclays profited from switching their positions and, more to the point, whether these profits were disclosed to clients. According to the Financial Times’ sources, the DoJ will also be investigating other banks on allegations of inadequate profit disclosure of currency deals to clients and counterparties. 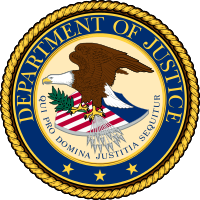 It has reportedly been known for some time that the DoJ is planning to seek retribution for undisclosed fees and mark-ups that sales staff charged to clients, but this is the first solid information to emerge. UBS already paid out $799 million to US, UK and Swiss authorities in November as part of a settlement with five other banks on allegations that they did not satisfactorily prevent traders from fixing forex rates. The overall settlement was upwards of $3 billion. Barclays did not take part in that settlement due to uncertainty regarding action by the New York Department of Financial Services. However, they did set aside £500 million. Their probe still ongoing, the DoJ didn’t take part in that settlement either. Now UBS might be the first bank to face a DoJ fine. According to the Financial Times, people close to the situation say that a resolution might not appear before April. DoJ’s extension of its investigation into structured products could have a big impact on bank business practices. If negligence or criminal behaviour is discovered, it could pry open greater disclosure from banks for sophisticated clients and counterparties in a wide range of financial products.